Kenny didn't start out in real estate - but rather fell into it when a colleague identified him as a natural fit for the space. Today, he works for Climb Real Estate and is a top agent in his area. Kenny uses both Zillow and Conversations to power his business. Kenny became a full time real estate agent in September of 2010 and closed his first sale in March of the next year. He quickly realized that he had the drive to succeed in the industry - and he was more than willing to put in the hardwork. To stand apart from the competition, Kenny branded himself as #FastAgent and built his business model around focusing on delivery speedy service to all his leads and clients - both online and offline. His branding decision paid off - several months after starting his real estate career, Kenny had become one of the top performing agents in his area. In addition to his focus on speedy service, Kenny decided to invest in the Zillow Premier Agent program. He purchased several zip codes in his area and quickly started seeing an influx in relevant home shopper leads. To keep up with the increase while maintaining his #FastAgent reputation, Kenny signed up with Conversations. He was quickly wowed by Converstion's intelligent automation. Today, Conversations is an integral and extremely valuable part of Kenny's business. He uses the lead engagement and conversion software to intelligently manage follow-up and nurture his leads until he's able to personally connect. Since he started using the system, his conversion rates have increased tremendously. Kenny is regularly recommending Conversations to other agents because he's been so impressed with the results. Kenny - who was identified by a colleague as a great fit for the real estate space - knew he needed to work hard and effectively brand himself to find success as a new agent in a competitive market. He became known as 'Kenny Truong - #FastAgent' and incorporated dedication to fast, friendly service into his business model. As Kenny started to grow his business and invest in lead generation, he quickly realized he was going to need some help managing all his new contacts - so he signed up for Conversations. Not only did Conversations provide assistance in helping Kenny live up to his #FastAgent name, it also helped him significantly increase his lead conversion within just one month. Brand new leads are in the first step of their buyer's journey known as the awareness stage. At this point, a lead is nowhere near ready to choose an agent. In fact, they haven’t even decided if it makes sense to commit to buying yet. Kenny knows this - and he trusts Conversations to help him make meaningful connections with these leads that will help nurture them towards a point where they are ready to connect with him in person. Conversations does this by providing ongoing messages with relevant information that is selected based on what the lead is searching for. These messages could cover anything from additional properties that meet the lead's search criteria to price drop notifications for a favorite property. The fact is, the web is a crowded space and in order to generate valuable internet leads, you need to invest in your business. Kenny currently spends an average of $5,000 a month on lead generation - primarily with the Zillow Premier Agent program. By purchasing a number of key zip codes, Kenny is able to dominate target leads in his market. As he generates more leads, he earns higher commissions and is able to re-invest more marketing money into his business. Social media and a strong online presence both play major roles in Kenny's success. He regularly does social research and targets his ideal audience on various social platforms to drum up new leads. Successfully integrating and managing multiple channels allows him to target a wider lead base, thus giving him more opportunity to build his sphere of influence and referral network. Consistency has been a proven contributing factor among all top producing agents and Kenny is no exception. He uses his proven three step lead nurturing workflow with every new lead that enters his pipeline. If you're at an open house or client meeting and can't respond right away - your leads won't wait. Instead, they'll move on to another agent. Don't let that happen! Use Conversations and make sure all of your leads receive follow-up within five minutes or less. Staying in touch with leads and providing information that isn't too sales oriented is critical. Your leads don't know you yet - so you have to prove your value and dedication with ongoing, engaging follow-up. Once again, Conversations provides the perfect solution. By analyzing lead data, the system is able to select the perfect nurturing messaging and frequency - and a team of in-house analysts is constantly evaluating and tweaking messages to increase response rates. Bringing on new clients is the most critical part of the three step process - and with the other two pieces functioning seamlessly with the help of Conversations, step three is now easier than ever. Before joining Conversations, Kenny was just starting out in the real estate space and was manually following up with all of his new buyer leads. After he created a strong web and social media presence and began using Zillow to generate new buyer leads, Kenny was ready to find intelligent tools to help him manage his business and his #FastAgent brand. Less than a year after signing up for Conversations – Kenny has seen a dramatic increase in his conversion rates, is enjoying having the ability to let Conversations effectively nurture leads who aren't ready to speak with him yet and has been so impressed with the results that he's recommended the software to over 30 of his colleagues. 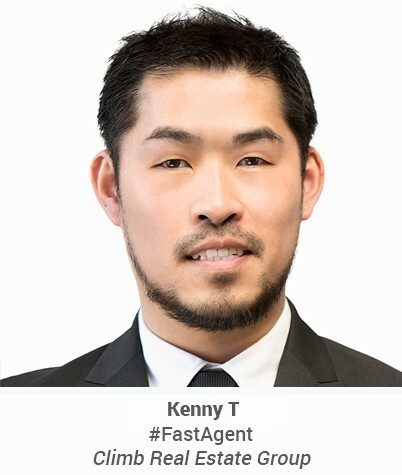 #FastAgent Kenny found the key to long-term success with Zillow & Conversations. Ready to build your success story?